One thing every homeschool parent has to do, regardless of state regulations, is to keep records. Even if your state doesn't require records to be kept or turned in, some day you might move, or your kids might attend a public or private school, or maybe they'll want to apply for college or a job. Having good records gives you peace of mind that whatever the future holds, you'll be ready! Figuring out the best way to keep track of your students' academic history can be frustrating and stressful. Homeschool dad John Echols and homeschool graduate Jordan Shute figured that what homeschoolers need is an affordable, intuitive program to gather and manage records in a way that would be an accurate reflection of the homeschool education. Together they created My Home School Grades. My Home School Grades is a deceptively simple program that allows you to track courses, grades, and activities for all your students. It's simple, but powerful! The cost of a lifetime membership to My Home School Grades is only $49.99 and includes full access to the program, unlimited number of students, and all future updates and enhancements! Now that's a great deal!!! 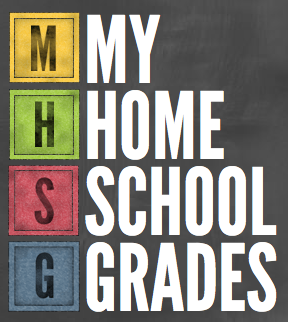 Many homeschooling families don't hand out grades, at least, not in the traditional sense, because they recognize that grades don't necessarily equal learning. Because of this, My Home School Grades was designed to use any sort of grading system: letters, decimals, fractions. A whole course can be given a single grade or you can enter grades by assignment and the system will calculate for you. 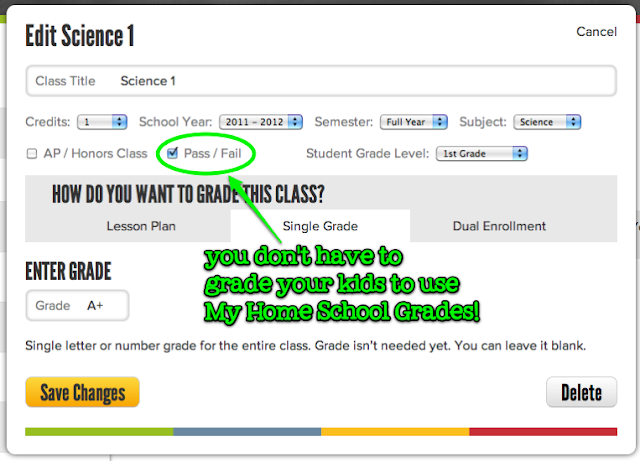 Best of all (in my opinion), you can simply choose a pass/fail option and skip grades altogether! This is the option I use for my kids. In addition to classes, credits, and grades, My Home School Grades can help you keep track of all the extracurricular activities your children participate in. Community outreach, sports, scouting, field trips, math olympics; it can all be recorded quickly and easily. 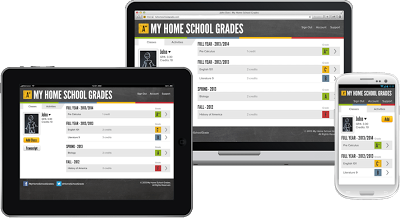 If your phone or tablet can access the internet, chances are it can access the My Home School Grades web app so you can keep up-to-date while on the go! I entered Miss M's participation in last week's spelling bee! And I'm able to keep track of the field trips we've been on so far this year. It doesn't do to trust that sort of thing to memory. You other mamas know what I mean! Setup is a breeze! You never stall out wondering what to do next. Each step follows a natural, intuitive progression. Even though there are a lot of customizations available, it's all so easy to figure out! You can upload a photo of your student, but I thought the default chalk drawings were just adorable! It really is that easy!! When generating a transcript, there are a few exciting customizations, my favorite of which is the ability to "hide" all the work done before a certain year. For example, you've been schooling your child since Kindergarten and they're now ready to apply for college. You don't have to print a transcript listing everything they've done K-12. Instead, you can hide everything before their Freshman year and you're left with just a high school transcript. Perfect! I'm really excited about the future of this program -- and it's all included in the lifetime membership! Go sign up for a 14-day free trial -- no credit card needed! It will be good till the end of 2014. Check out my honesty policy. 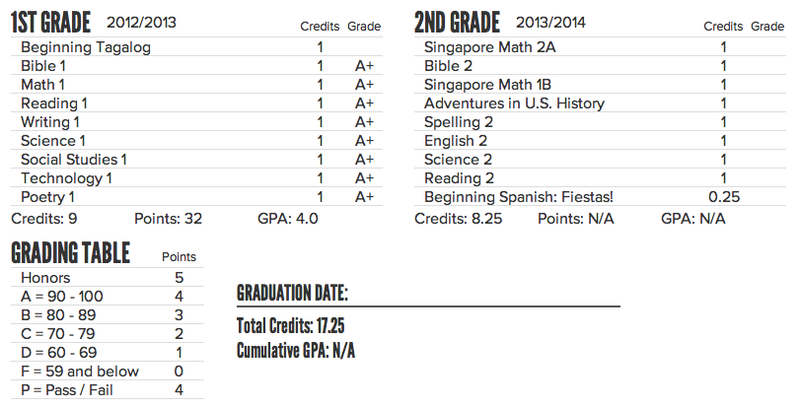 I will start keeping grades once Maggie reaches high school (one more year!) because I will be making a transcript, of course. We have never issued grades before, though. :) I like the look of that system you reviewed because of the pass/fail feature. I'm sure many people would benefit from it! Thank you so much Stephanie...I will give her your link...I really LOVE your writing style...I ALWAYS learn something from your reviews!